Images by SEO Powersuite. Used with permission. When a new client comes to me, it’s often because they feel they’ve been cheated by a previous SEO agency or freelancer. These emails are accompanied by 4 or 5 paragraphs of how they feel they’ve fallen victim to an over promising sales pitch that would include a website audit, monthly reports with keyword ranking, and backlink opportunities, but the agency failed to deliver. I don’t blame these clients or the SEO agency — SEO deliverables are often one of the most challenging marketing strategies to deliver in a report, and there’s a lot of conflicting advice on how to structure these reports. I started as a freelance SEO strategist in 2010 without any templates or tools for how to be successful. Through the few years of bumps and bruises, website crashes, and way too much money spent on unnecessary tools, I’ve discovered one SEO tool that does everything I need: SEO PowerSuite. 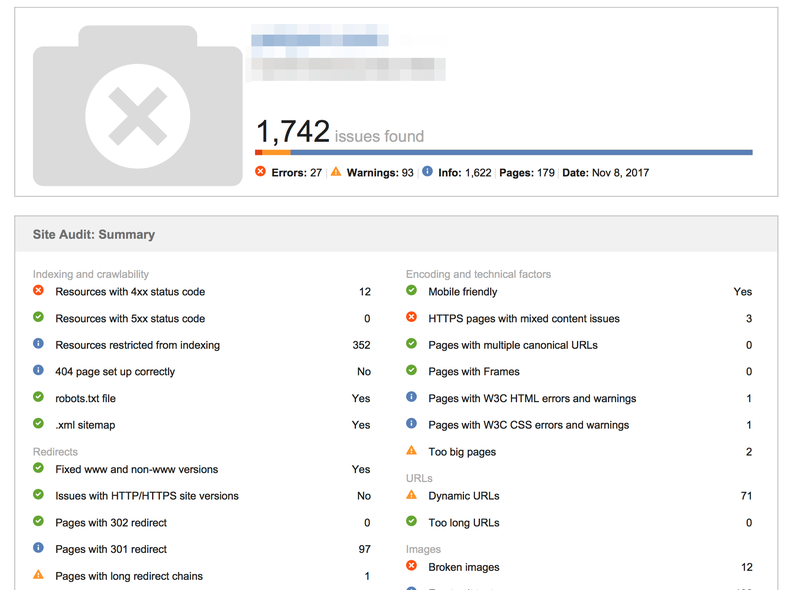 Here’s a behind-the-scenes look at my new client onboarding phases and SEO reports using SEO PowerSuite. For a TL;DR version of this post, I put together a quick (0:45) video with some of my favorite features along with a few thoughts on what the best ways to use the tool. Hope you enjoy! 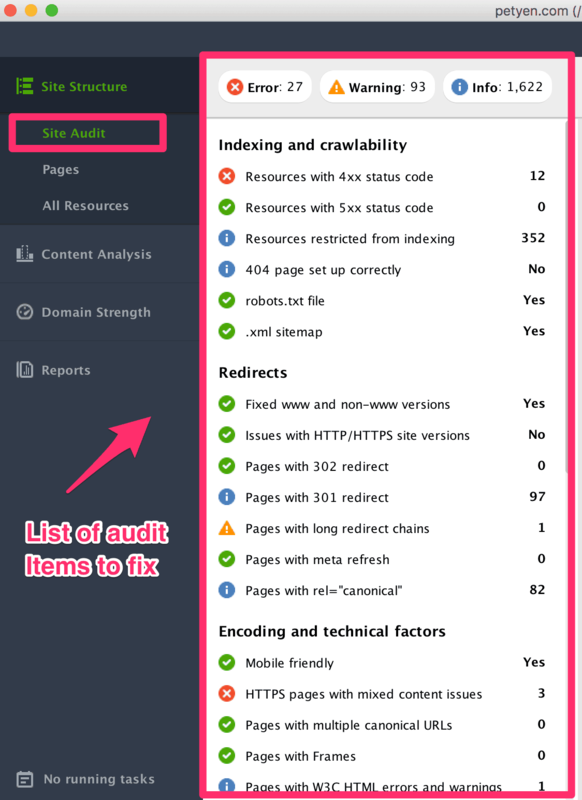 When it comes to all things SEO, I’m a big fan of performing audits before I take on a new client (just see how in-depth I go into the technical SEO audit process). I love digging into the data and uncovering SEO quick fixes because it not only helps my client’s website, but it helps to grow their business. That also means I’m always testing and experimenting with new SEO tools, searching for the easiest, most useful tool to make sure I discover all the issues within a website. That’s where SEO PowerSuite Website Auditor comes in handy. 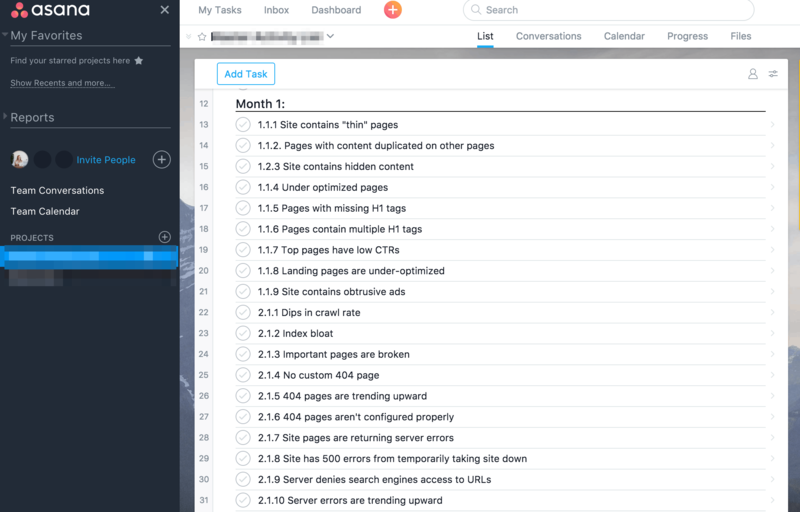 This task list scrolls all the down to over 200 tasks to complete in one month. A lot, right? Well, with SEO PowerSuite’s Website Auditor, I can confidently check-off all of these tasks in one month. ✅ Crank up your reports: Turn issues into a report with a single click, and finally get to all green check markets. Plus, you can schedule these to automatically distribute monthly to show improvements. 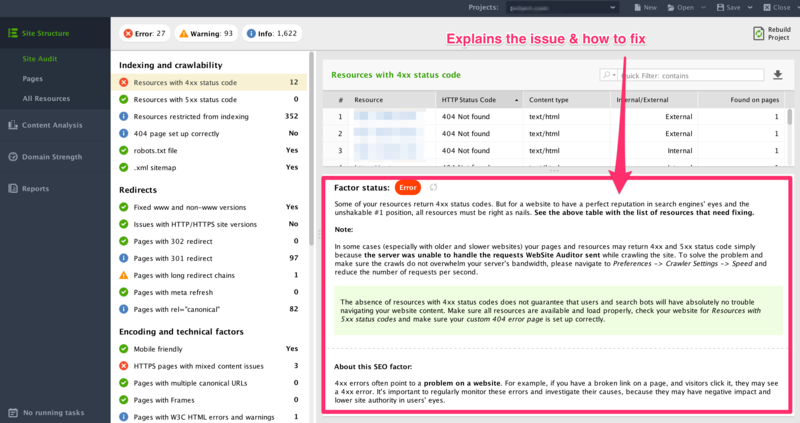 ✅ One and done: If you’re not sure how to fix an issue, the Website Auditor provides step-by-step instructions on how to fix an issue, so you don’t have to go searching through forums. ✅ Optimize content in the app: This might be my favorite aspect of using Website Auditor because I can optimize the meta title and meta description within the Website Auditor. Having an easy to use, fast, website auditor should be right up there with finding food, water, and shelter. It’s a necessity. And, that’s why I’m a fan of SEO PowerSuite Website Auditor. I can understand my client’s competitors, customers, and begin to develop personalization strategies to help grow their businesses. And, SEO PowerSuite offers Rank Tracker as a keyword monitoring tool. Here are some of my favorite features of Rank Tracker. 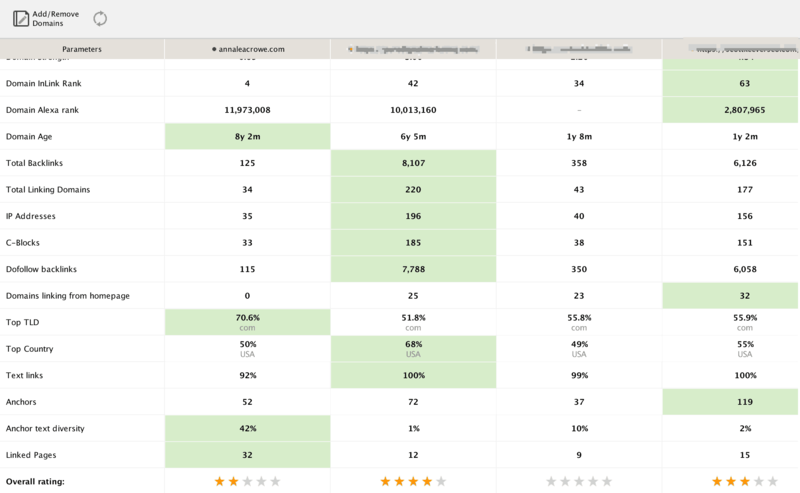 ✅ Unlimited tracking: Ever fall in love with a keyword ranking tool only to realize it just tracks 30 keywords per client without having to upgrade for another $100? Yep, it’s frustrating. 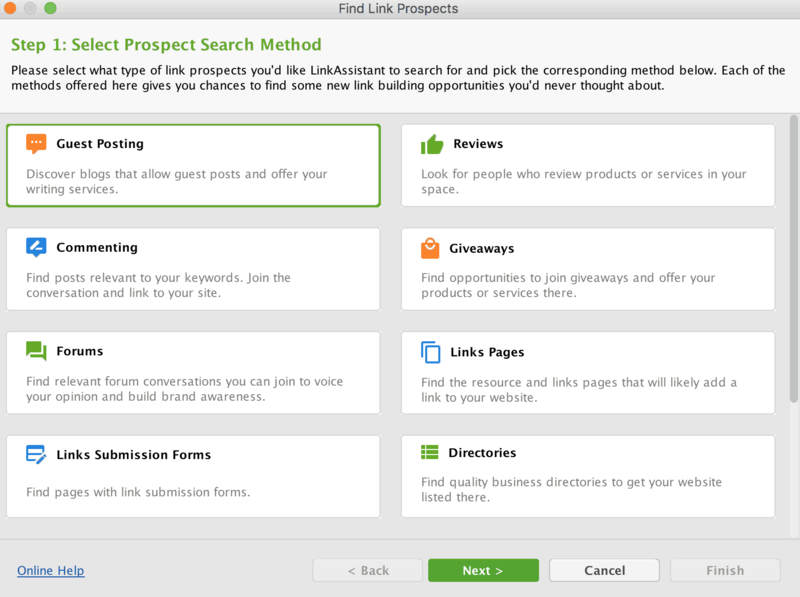 Good news: Rank Tracker gives you an unlimited number of keywords to track. ✅ Tampa to Seattle geolocation: Rank Tracker allows you to track national and local keyword positions so you can get as nitty gritty as you need to for your client. You can select a country, state, city, and even an exact address. 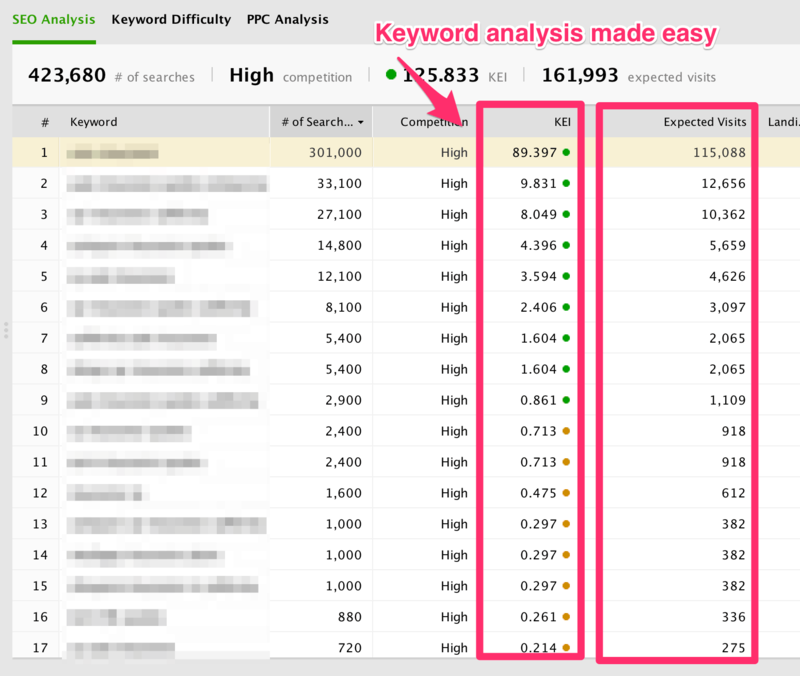 ✅ Takes the guesswork out of keyword analysis: Rank Tracker prioritizes and chooses the best keywords for targeting by calculating the Keyword Difficulty for every single keyword term. ✅ Easy, peasy reporting: Like many of the other features in SEO PowerSuite, you can automate your keyword rankings reports to send to your client at the same time every month, week, or day. Plus, you can track your competitors! To provide full SEO services to my clients, not only must they have a good grasp on their rankings, but a visual aid to show the top performing keywords that are bringing in traffic and ways to track competitors. When all of this keyword data can be within one report, my client can have a full picture of what I’m doing and what needs to be done next. I get it: Backlinks are huge for every website, from guest blog posts to directories. It’s easy to become consumed by your competitors backlinks, especially if they’re increasing month-over-month. Your knee-jerk reaction might be to start pumping out emails over and over with the hope to gain traction…right? Not so fast. SEO PowerSuite’s SEO SpyGlass not only lets you spy on your competitors backlinks, but it allows you to clean up those spammy backlinks that might result in a Google penalty. ✅ Link clean up: I’m a big believer in removing links. Now, you may gasp and wonder why remove any links. Well, if your website gets hit by Penguin, you’ll need to endure a link clean up that could take months. ✅ Visually appealing analytics: Gone of are the days of spreadsheets and long, tedious hours of tracking, the summary dashboard displays everything you need. ✅ Compare competitors links: Yes, I admit, I stalk my competition. And, that’s what I love about SEO SpyGlass because I can compare 5 of my competitor’s backlinks side-by-side. ✅ Uncover the best link building techniques: If you’re not sure where to start with link building, this one’s for you: SEO SpyGlass displays 50+ link quality factors! You can segment based on Alexa Rank, domain age, and so much more. ✅ Reporting: If you’re looking for a clean way to report backlinks, SEO SpyGlass has you covered here, too. You can automate your backlink reports that analyze anchor text, dofollow, nofollows, and all other sorts of nerdy fun stuff. And, you can customize the report with your company logo and colors. It’s easy to get lost in the weeds when building backlinks – especially if you’re trying to catch your competitors. But bringing the power of SEO SpyGlass means getting the full picture on backlinks. SEO SpyGlass supercharges your backlink analysis before you even begin sending emails. To any SEO pro, your backlinks are your lifeline. At Search Engine Journal, we’re all about creating authentic, high-quality content that naturally generates backlinks, but I’m also a huge fan of giveaways, niche directories, and other topical blogs that may be interested in developing partnerships. LinkAssistant is a game changer! It allows you to focus on a specific link building campaign prospect without having to do the manual research. Trust me: your clients will thank you. Whether you’re an in-house SEO or freelance SEO consultant, you will always be looking for new backlink prospects to build your backlink profile. It’s inevitable. Even if you’re scrappy and lean, it can be hard to beef up your backlink profile. After using LinkAssistant, I’ve refined my backlink process. 1. Define goals: Determine if you want to increase guest blog posts, directories, or product reviews. Your goals will determine what types of prospects you want. 2. Identify high-quality prospects: Choose your prospects based on the quality of their online presence. 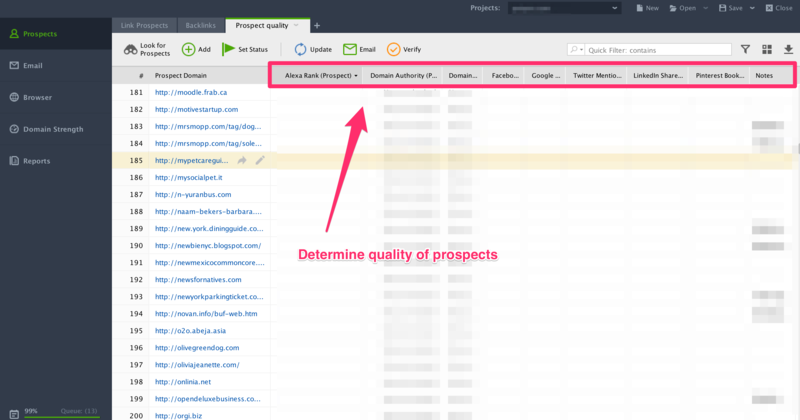 I sort by domain authority, Alexa rank, and social shares when analyzing prospects. 4. Track relationship status: This is one of the coolest features of LinkAssistant because it lets you track the status of your emails. For example, if I’ve sent an outreach email twice, it will automatically update the status for me within LinkAssistant. You can also update this manually if needed. SEO can be daunting for any agency or freelancer. But, reporting your SEO tactics and activities is even harder. It’s what prevented me from experimenting with different SEO strategies for a long time. With SEO PowerSuite, I’m able to provide my clients with an authentic, transparent approach to SEO marketing. Each client, each website, each SEO campaign create their own challenges, but as long as you’re improving your process and tracking your activities, you’ll get better. What parts of your SEO strategy could use an overhaul? What tools are your currently using? How are they helping you improve? Steve Jobs said, “Great things in business are never done by one person; they’re done by a team of people.” SEO PowerSuite helps me accomplish something I never could do on my own. It gives me the power and capabilities of a five-person SEO team in one tool.